Welcome to the 2015 preview, where I’ll take a look at selected golfers and examine what to expect over the next twelve months. 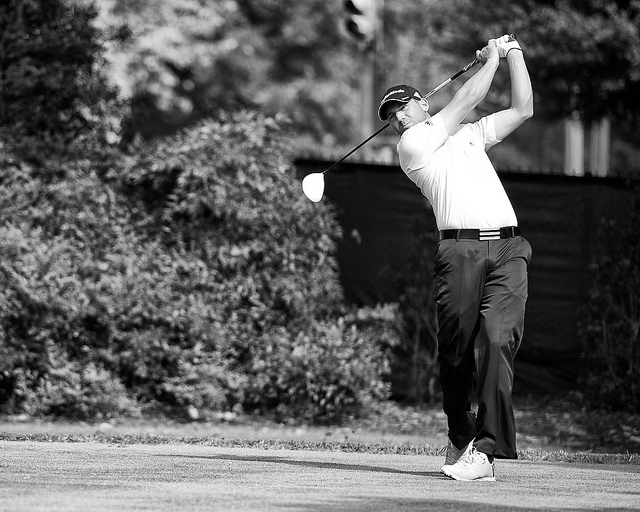 Today, we look at Sergio Garcia. It’s hard to believe that we’re actually fifteen years removed from Sergio Garcia making his name known at the 1999 PGA Championship at Medinah. 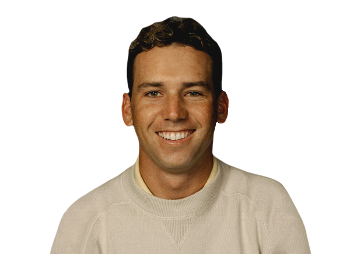 Garcia, a fresh faced, 19-year old kid from a tiny town in Spain, held the lead after the opening round of the PGA that year and was only two back of Mike Weir and Tiger Woods after 54 holes. Weir plummeted down the leaderboard on Sunday when paired in the final group with Tiger, firing an 8-over par 80 to finish in a tie for 10th place, but Garcia made a charge, quite literally on the 16th. Sergio’s famous closed eyes shot from 1999 PGA Championship at Medinah. Garcia would go on to make his par, but couldn’t complete the comeback as Tiger won his second major by a shot. If you had asked anyone who was there at the time about the future of golf and Garcia, they would have told you that they were very much intertwined and that even though Tiger may have won that week, that the kid from Borriol was not only going to win a major himself very soon, but that the rivalry between the two was going to propel the game for the next two decades. That hasn’t happened of course, with Tiger holding a 14-0 edge in major victories, but Garcia is still an accomplished player in his own right and considering he turns 35 in January, he still has a lot of time left. This is pre-bitter, pre-major disappointment, pre-Morgan Norman Sergio. For this, Sergio gets a perfect score of ten Ryan Moore heads. No matter what he does, Garcia always finds a way to make things interesting. He’s widely looked at as one of the best ball strikers the game has seen in the modern era and the stats back that up too. Garcia’s putting has been much improved over the last few seasons, but with how much it’s improved, people have seemingly forgotten how good he is from tee to green, and he’s still thought of as one of the best course managers in the game. With all of that said, he seems to get in his own way far too often. See what happened earlier in 2014 on the 17th on Sunday at Cherry Hills as the perfect example. There was also going for it from the pine straw at 250-plus on 13 at Augusta, plus the inexplicable series of events on 16 at the Open Championship on Sunday. When he’s playing well, he’s unquestionably one of the best players in the world. When he blows up, it’s usually in the most explosive way possible. Both can be fun, and that’s why you should watch. The clutch putting and iron play always seem to show itself in the Ryder Cup, just like it did at Gleneagles a few weeks ago. Maybe I’m reading too much into it, but there’s a look of relief on Garcia’s face after he hits that putt stuck with me as soon as I saw it. For whatever reason, Garcia always seems at his best when he’s playing at the Ryder Cup, where the major demons that have plagued him for the last fifteen years just don’t seem to exist. Is this finally the year that Sergio Garcia wins a major championship? He’s got every physical tool in the book to win one, and with the way he strikes the ball, there’s no course in the world that should theoretically be a bad fit for his skills. On a purely anecdotal level, the smile that you saw in the headshot above has actually re-emerged over the last year or so, and it’s very easy to see that Garcia is enjoying golf more than ever. There’s no reason why he can’t win a major championship, and for the first time, Sergio Garcia actually seems like he knows that too.